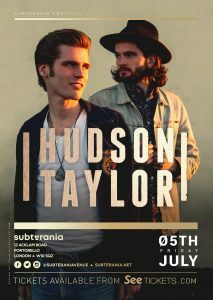 Irish duo, Hudson Taylor released their long-awaited debut album “Singing for strangers” in 2015. The multi-instrumentalists honed their craft busking on the streets of their hometown of Dublin as well as all over Europe and in fact gained the albums name from their love of entertaining anyone who would stop and listen. 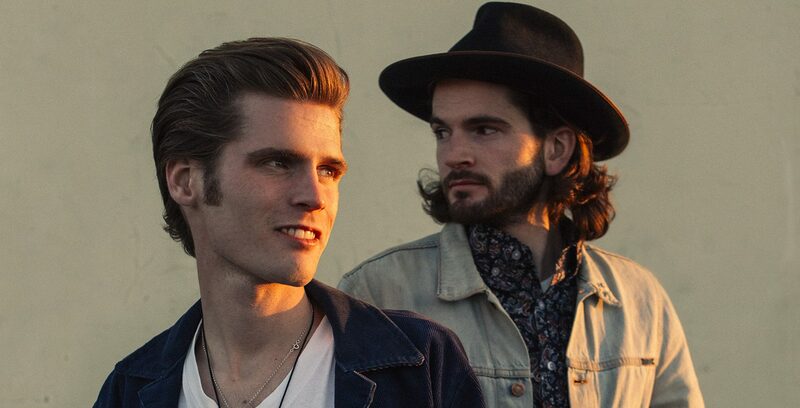 Having spent the majority of 2017 recording their next album and touring – they have just released their brand their EP “Feel it again” and are just back from touring the US having already completed a sold out European and UK tour earlier in the year. Summer of 2019 will be spent touring with Hozier in the US, performing at the UK’s biggest Irish music festival ‘Feis’ and a one off show at Subterania on July 5th.